By putting hip-hop aside for the time being and concentrating his efforts on cultivating a deliciously funkified sound that has given form to his recently released third full-length album, Donald Glover has solidified his status as not only a ridiculously talented performer but also an accomplished and adventurous musician. Developed alongside longtime producer Ludwig Göransson, the new approach pays homage to the psychedelic funk and soul of the 70s, and the result is a listening experience that is more like kicking back with some Parliament on the turntable than moshing at a ScHoolboy Q show (the latter of whom Childish Gambino featured on a mixtape released a year after his first album, Camp). Albums one and two showcased considerable lyrical prowess with songs like “Fire Fly” and “Sunrise” (on Camp) as well as “IV. Sweatpants” and “3005” (included on his second album, Because the Internet), though on the whole, his first attempts at rap success have lacked unity as stand-alone projects, clearly a sign that the discovery of his musical identity has been (and remains) an ongoing process. The song “Telegraph Ave.” could be viewed as a breakthrough moment in this pursuit: a collaboration with R&B vocalist Lloyd that touches on a deeper level of feeling than any other song on Because the Internet. This formula of slowing down the tempo and incorporating a wider range of musical influences laid the groundwork for his Kauai EP, of which the first three tracks – “Sober,” “Pop Thieves (Make It Feel Good),” “Retro [ROUGH]” – are all winners. 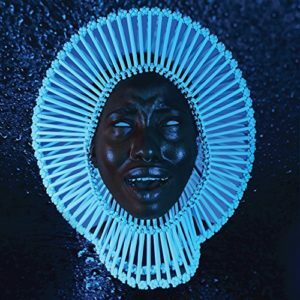 Fast-forward a couple of years and we have “Awaken, My Love!”, the most fully-developed Childish Gambino project to date in terms of musical direction and cohesiveness. “Redbone” is the jewel of the set, featuring impressive falsetto vocals and futuristic guitar, the latter of which may remind listeners of Mark Ronson’s “Leaving Los Feliz” (a song that flew under the radar with the success of “Uptown Funk,” but was a key component of his Uptown Special record for which collaborating producer Jeff Bhasker won a Grammy). While the choruses of “Have Some Love” and “California” feel somewhat recycled lyrically, the funky sound remains intact and still makes for enjoyable listens. The record concludes with “Stand Tall,” a thank-you letter to his parents for their encouragement when he was younger. This six-minute number is the most genuine display of feeling yet achieved on a Childish Gambino record and should keep listeners thirsting for more of what Glover and producing partner Göransson can cook up next.